Traditional healers once claimed that nigella could treat “anything but death”. Their belief for this black seed rose from the fact that several medical conditions, from psoriasis to asthma, could be treated with a daily intake of the spice. And while medical science has long since limited nigella’s therapeutic uses to a few dozen, the seed is still a healthful food to take into consideration. Nigella sativa is derived from the Latin nigellus, or niger, which means black. 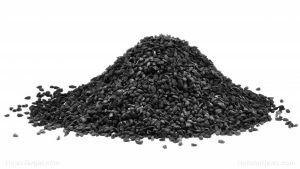 It is also referred to as black caraway, black cumin, and Roman coriander. In the interest of brevity, we will be segmenting this topic into bullet points. As previously mentioned, nigella is a powerful natural substance and has a multitude of therapeutic benefits. Treating MRSA – This is a much-feared superbug known as methicillin-resistant staphylococcus aureus. As the name suggests, this is a bacterium that is genetically different from other strains as it developed a resistance to common antibiotics. Nigella, however, was seen to induce death in MRSA strains. Preventing colon cancer – Several cell studies observed that black seed can inhibit the growth of colon cancer cells. Managing type-2 diabetes – Two grams of black seed taken daily can improve diabetic symptoms, including reduced fasting blood sugar levels, decreased insulin resistance, and increased beta-cell function in the pancreas. Reducing epilepsy – A study concluded that nigella can reduce the frequency and severity of seizures in children who resisted conventional treatment. 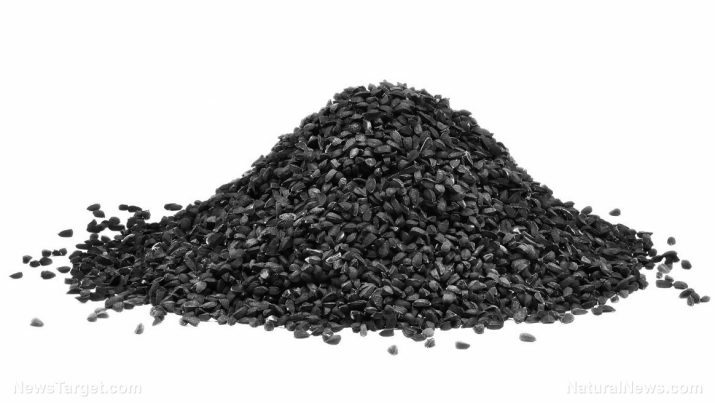 Protecting against heart attack – Black seed extract is noted to reduce the amount of plaque found in the arteries. Lessening brain damage caused by lead toxicity – Scientists saw that adults who were exposed to lead had reduced effects after taking black seed. Preventing other forms of cancer – While nigella is extremely effective against colon cancer, it is also useful for other varieties as well. Different studies have shown its efficacy for breast, brain, blood, cervical, and oral cancer. Treating asthma – Numerous analyses reveal that nigella can reduce the symptoms of asthma. In fact, some researchers say that the spice is even more effective than conventional drug treatments. Controlling radiation damage – Nigella is said to protect brain tissues from radiation-induced damage. Preventing morphine addiction – There are a few small studies which suggest that nigella can be used to reduce the indications of morphine tolerance and addiction. It has yet to be confirmed if black seed can do the same for other opiates. Treating sore throat – There is evidence which states that nigella can treat acute tonsillopharyngitis. Curing psoriasis – When applied topically, nigella can soothe psoriasis symptoms. Helping people with Parkinson’s disease – Black seed can protect neurons from toxicity associated with Parkinson’s. Preventing scarring – Extracts of nigella can protect peritoneal surfaces from scarring and promote better wound healing. Apart from these known benefits, nigella can be used as an effective agent whenever anti-inflammatory, antibacterial, and antifungal properties are needed. It can be safely said that nigella supports all body systems. Regular intake of the seeds contribute to overall well-being. You can choose to use either the seeds themselves or their oil. Some recipes vary. However, take note that concentrated oil is two and a half times more potent than the seeds. So if your recipe asks for one teaspoon of oil, you can replace this with two and a half teaspoons of ground seeds. Remember as well that seeds thicken when heated. Nigella or black seed is an extremely powerful health substance that can be used to treat a variety of diseases.